The Brewery in Monroe has been owned over the last 160 years by some of the most prominent citizens of the area. They were 1st or 2nd generation immigrants, tracing their origins from Switzerland, France, Britain, Germany and Denmark. In 1845, Mr. Bissinger opened a brewery in the beautiful rolling green hills of Southern Wisconsin, inhabited by many people from Switzerland and simply called it Monroe Brewery. These new Swiss immigrants had brought their dairy expertise and passion for artisanal cheese making skills to their new homeland. To this day, Monroe has the most certified specialty master cheese makers in the entire country. The brewery ownership has changed every 60 years since that time (and therefore the name of the Brewery). The brewery has been constantly expanded and modernized such that it now takes up almost 3 city blocks in downtown Monroe with over 300,00 square feet of buildings but one thing have remained the same – tradition of making the best beer in the world on exactly the same spot where the brewery was founded. He founded the Brewery at its present site. At the time, it was a winter operation consisting of a Brew Kettle and could only make a few hundred barrels per year. On October 30, 1841, John M. Knipschield was living in Lee County in North Central Illinois when he made his declaration to become a citizen of USA and broke his alliance with “Frederick William the Fourth, King of Prussia”. Shortly after Wisconsin became the 30th state in the United States, Mr. Knipschildt purchased the Brewery. By 1850, he had invested $1000 into the Brewery and produced 366 barrels per year. The Brewery was hand powered, employed two men who were paid $50 per year and wood and coal was used for fuel. He was also a Treasurer and a Trustee of Green County. At this time, the Brewery had 2 cellars, a malt mill and a malt drier. The malting of barley was done right at the Brewery. In 1858, they built the underground beer storage cellar as there were no ice controlled or mechanically controlled cellars at that time. Lager beer was produced for the first time during their ownership – prior to this only ales were brewed. Winter was still the only time that brewing took place. By 1860, the Brewery’s production hads increased many fold and the Brewery had nearly 100% market share in the Green County and within a 25 miles radius area. Interestingly, John Hermann was actually living right at the Brewery. There were still only two males employed earning $65 per month. But now, a horse was used to power the Brewery. 400 barrels were produced per year. John Hermann married his Swiss fiancée on August 16, 1861 in Monroe. Captain Ruegger migrated in 1854 from La Havre, NW France accompanied by his parents. A Swiss by origin, he became a prominent citizen of Monroe and had various business interests including a Wagon Building and a Fire and Life Insurance Company. He owned the Brewery for two years. His public service included serving as Fire Chief and Sheriff for the City of Monroe as well as the President of the Monroe Rifle Club. He and his wife Sophia (nee Shober) had nine children – all born in Monroe. Jacob Hefty was born in Canton Glarus, Switzerland, and came to Green County in 1847. He was the first person of his nationality to learn the English language in the town of New Glarus. He married Catherine Blumer in 1857 and had 6 children. He distributed beer under the “Monroe” label. They produced 1200 barrels annually, employed four males, with an annual payroll of $3,000 per year. One horse still powered the Brewery. On a very cold night on December 27, 1875, there was a terrible fire that destroyed the Brewery. The fire was put out using “green beer” , ittook 7 hours. The loss was $12,000 and the Brewery was only insured for $5, 000. By 1884, the Brewery was producing 3 000 barrels. and in 1885 it had revenues of $12 000. Jacob Hefty was joined by his brother-in-law Adam Blumer Sr. as a 50% owner in 1885. Adam Blumer Sr. and his family would be part of the Brewery for the next 62 years. 1892 – 1906 Adam Blumer Sr. In 1892, Adam Blumer Sr. became the sole owner of the Brewery. He was a native of Switzerland and was the youngest of sixteen children. His parents were pioneer settlers in Washington township, just outside of Monroe, WI when they started farming upon their arrival from Switzerland on April 3, 1849 at the Port of New York. Their tract consisted of 240 acres and they lived in a log house and had to contend with all the hardships encountered in pioneer farming. The young man attended the district school; until the death of his father in 1855, he was then obliged to assume his share of the responsibilities in the running of the family farm. Later the entire management of the old homestead fell into his hands. He applied himself with energy and ambition and was soon known as one of the most successful farms of the time in the county, extending his farm to 476 acres. He started a cheese manufacturing enterprise in 1862, which he continued for the next 30 years. He began dairying and cheese making with a herd of twenty-five cows. In a few years he enlarged the herd to almost a hundred. Adam Blumer was one of the first in the area to succeed in large scale dairy farming in Green County. Adam Blumer was married March 23, 1865, to Miss Margaret Hefty and had 7 children. Adam Blumer retired from farming and moved to Monroe in 1891, later becoming an Alderman. 1906 – 1918 Adam Blumer Sr. In 1906, the name of the Brewery was changed to Blumer Brewing Company. When Adam Blumer, Sr. took over the brewery in 1892, it was a “one-horse” operation but during his years of ownership, the plant was rebuilt and equipped throughout with modern machinery. When he was done, it was a modern Brewery in every respect and it became a major regional brewery – a distinction it retains to this day. He was so popular that when he was dying, his name was placed on the ballot without opposition. He was also a long time member of the County Board of Supervisors. Fred J. Blumer took over the ownership of the Brewery upon the death of his father Adam Blumer Sr. Under the management of Fred J. Blumer and his brothers Jacob C. and Adam Jr. Blumer, the Brewery expanded and proved to be one of the most up-to-date breweries in Wisconsin. At this time the Blumer Brewing Company had a yearly output of 12,000 barrels. When Fred and his brother took over the brewery, it only produced around 1,500 barrels a year. The brothers brought in electric equipment and practically rebuilt the brewery. Fred J. Blumer was active in the development of the Monroe area. He married Bessie Dean, of Milwaukee, WI, a daughter of James and Eva (Thurber) Dean, on June 24, 1898. They had one daughter, Marion Blumer. They resided at 2110 11th Street in Monroe, WI for many years. He was also Vice President of the First National Bank of Monroe for many years. Despite all the improvements Fred Blumer made at the Brewery, he took over the Brewery at the worst time in the brewing history of the USA. A year after the death of his father Adam Blumer Sr., a business that he had dedicated his life to, became illegal with the onset of Prohibition of Alcohol throughout US. Blumer Brewing Company changed its name to Blumer Products Company in 1920. In order to survive, it started making Ice Cream, non alcoholic beer and started distributing Case Tractors, Separators, Silo Fillers, and Road Machinery. At the Blumer Products Company, they came up with the Blumer’s Golden Glow Near Beer, which became extremely popular. Also, before 1920s, there was no concept of branding of beers. Fred Blumer and his team introduced modern advertising and marketing techniques for the first time. The “Noble Experiment” as the National Prohibition of alcohol was called, failed miserably. On April 7, 1933, the Prohibition law was repealed and the Blumer’s Golden Glow “Real Beer” was re-introduced. The Brewing industry was optimistic of a great future. Fred J. Blumer invested a lot of capital to expand the capacity of the brewery. However, the next 5 years proved to be difficult years to make a profit. On January 24, 1938, Fred J. Blumer resigned and announced a new Board of Directors led by Carl O. Marty, his brother Robert F. Marty and other Cheese magnates from Monroe and Milwaukee. In 1938, Carl O. Marty, the big cheese magnate of Monroe, bought the majority ownership in Blumer Brewery mainly for its large cold storage space for cheese. Carl O. Marty and his brother Robert F. were visionaries and naturalists. They created the “Waldorf of the Wilderness”, the Northern Aire Hotel and Spa in Three Lakes area of Northern Wisconsin, fronting the Big Stone and Deer Lake. They have been credited with ushering in the “Golden Era” of the Northwoods Resort industry. On March 30, 1944, Carl O. Marty sold part of his interest in the beer operation to a group of stock holders. He named Joseph Huber as the President and Manager of the brewery while Carl O. Marty remained the President of the Monroe Cold Storage, Inc. It was estimated that the cheese curing and storage of the cold storage part of the plant was at six million pounds of cheese. 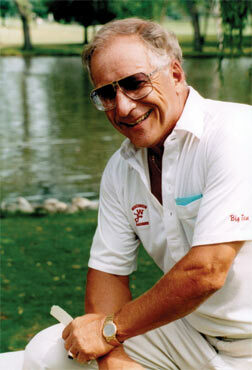 Marty organized the Swiss Cheese Corporation of America and the Capital Cheese Company. His offices and storage facilities occupied the main brewery building for the next 3 decades, until the death of Carl O. Marty in 1969 and his brother Robert F. Marty in 1970. The Green County Cheese Factory was also located adjacent to the Brewery property. Although the Cheese Factory was shut down in the 1980s, its three story building remained part of the Brewery property. The building was finally torn down in 2007 and 2008 to make room for the 50 000 square foot Minhas Craft Brewery’s Warehouse & Distribution Center. In 1947, when Carl O. Marty sold his Brewery business interest to Joseph Huber, he changed the name to Joseph Huber Brewing Company. He would lease the property and buildings from Carl O. Marty and the Swiss Cheese Corp. for the next 20 years, when he finally purchased the real estate in 1967. Carl O Marty continued to operate Swiss Cheese Corp. from the adjacent property. Born in Pirking, Germany, Joseph Huber was the son of Michael and Katherine G. Huber. He was a decorated soldier for the German Army, having served in World War I. He came to the U. S. in 1923 and settled in Yankton, South Dakota. He lived there for a year, then he worked for the Blatz Brewing Company in Milwaukee before coming to Monroe in 1927. Prior to his employment with Blatz, he was an apprentice with the Froedtert Malting Company in Milwaukee which provided his training for becoming a brewmaster. Coming to Monroe, he was employed by the Blumer Brewing Company. Joseph Huber saw the brewery grow as he advanced from a brewery worker for the Blumer Brewing Company to the President of his own company. Joseph Huber’s wife, the former Rose Braml, was also a native of Germany coming to America in 1923. They were married in Monroe on April 11, 1931, in St. Victor’s Catholic Church. He and his wife had attended the same school in Weiding, Bavaria. Joseph Huber is still remembered fondly by the residents of Monroe as somebody who was an active member of the community and was known for having a very friendly demeanor and a hard working entrepreneur. When Joseph Huber died in 1977, he was survived by his wife, Rose; a son, Fred, a daughter Mary Ann Cummins of Santa Monica, California; 11 grandchildren; and two great- grandchildren. Joseph Huber is buried in Monroe at Calvary Cemetery. 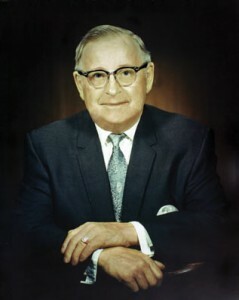 Huber Regular and Huber Bock were introduced in 1947 by Joseph Huber. After more than 60 years, they are still going strong – this is despite the fact that they were sold in “returnable” bottles for a very long time which have since been discontinued in the interest of preserving the environment. He also introduced Regal Brau, a German style beer in 1963 and Wisconsin Club a few years later. These brands continue to sell well after 40 years. Fred Huber was born in Monroe WI to Joseph and Rose Huber. He graduated from the Monroe High School and the Loras College in Dubuque, IA where he was known on the football field as the “Golden Toe from Monroe”. He was raised around the Monroe Brewery, so it was natural for him to start working full time for his father Joseph Huber in 1953. After working at the Monroe Brewery Fred moved to Chicago and resurrected the Peter Hand Brewery in 1973. He remained the Vice President of the Brewery in Monroe. He became President of the Joseph Huber Brewery in Monroe in 1977 upon the death of his father Joseph Huber. With the exception of 4 years from 1985-89, he continued running the Brewery until 1994 when he sold it to the Weinstein family of Madison, WI. Fred Huber was married to Joan and had seven children. He later divorced, re-married and lived out his last years in Lake View, Illinois, on the Lake Michigan near Chicago. It is fair to say that Fred Huber is one of the main reasons there is still a Brewery in Monroe and that it did not shut down like the hundreds of Breweries that closed down in the 1970s and 80s across America. Fred Huber was a promoter, a visionary, a maverick entrepreneur and a rescuer of several now defunct breweries and beer brands. He was a great story teller and a likeable man. He liked living “large“ and loved to socialize with the rich and the famous, including the legendary coach Mike Ditka of the NFL’s Chicago Bears. He also had a knack of bringing a variety of investors, partners and financial backers for the Brewery over the decades. Based on dozens of stories and incidents one constantly hears in the local community, Fred also had the reputation of being a legendary gambler – which likely affected his success in the beer business over the long term. He helped create the Augsburger brand and recipe, the first craft super premium beer in the US. Sam Adams and other craft brews came years later. During his ownership, the Brewery reached maximum throughput of 250 000 barrels in the 1980s in its entire history. This record is expected to be finally broken in 2008 or 2009. He aggressively marketed the Augsburger brand, with the radio ads featuring the legendary brewmaster Hans Kestler and the now famous line “Drink A Little Beer”. He resurrected and introduced Berghoff Beer in bottles and sold it in 30 states. He rescued beer brands from various now defunct breweries such as Potosi Brewery of Potosi WI, Peter Hand Brewery of Chicago, IL and Rhinelander Brewery of Rhinelander, WI. He was the first to export beer from the Brewery to Brazil, France, Russia, Nicaragua, Panama, Japan, China, UK and many other countries. In 1985. Fred Huber stunned everybody in the community and the industry when he sold the Brewery to Bill Smith, the former President of Pabst Brewery and Craig Werle, another senior Pabst executive. However, this would not end his involvement with the Brewery. He would purchase the Brewery back in 1989 and run it for another 5 years till 1994. When Smith and Werle (through their company MTX Inc. of Milwaukee WI), took over the Brewery, it was producing at its peak capacity, and Augsburger was a very popular craft brew in the Midwest. 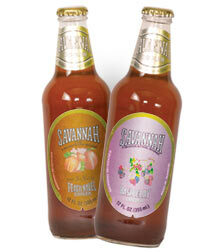 They introduced Savannah FMBs (Flavored Malt Beverages), the first ones to introduce beverage of this type in North America. Mike’s Hard Lemonade, Smirnoff Ice and many other FMBs that are popular today, were to come a couple of decades later. They also changed the corporate culture at the Brewery, This included the departure of the legendary Brewmaster Hans Kestler, known for “tasting” his brews in generous quantities in the afternoons. In 1988, Smith and Werle stunned the community and the industry by selling the Augsburger brand to Stroh Brewing Company, than one of the 5 largest Brewing companies in the USA. With the sale of Augsburger, the Brewery lost 60% of its volume. Smith and Werle announced their intention to close the Brewery. Interestingly, Stroh merged with Pabst in a few years and to this day, the Augsburger brand is owned by Pabst Brewing Company. Fred Huber with his partners purchased the Brewery in 1989 for a reported $2.3 Million. Fred would later disclose that the reason he sold the Brewery in 1985 was that he was burnt out. With Herman Berghoff, owner of the famous Chicago restaurant, as one of his partners, they introduced the Berghoff brand of craft beers and MYSTIC line of juice based beverages. He also brought back the famous Brewmaster Hans Kestler, who had moved to work at a Hawaii based Brewery. However, the Huber Brewery had large debt and continued to generate losses. In 1994, Fred Huber and his partners sold the Brewery to the Weinstein Family of Madison. The Weinstein family based in Madison had a long association with the Monroe Brewery. For many decades they distributed its products for throughout Wisconsin via their company General Beer. They were also investors over the years in the Brewery. The family purchased the Brewery in Monroe in 1994 and injected sizeable capital to upgrade and modernize the Brewery. Over the next 12 months, they invested about $3 million to modernize the Brewery, and increased its capacity. Dan Weinstein, Steve Preston, Bob Royko and the senior staff provided the much needed stability at the Brewery after the turbulent 80s and early 90s when the future was anything but certain. During this time, various new lines and flavors of beers and sodas were introduced. Berghoff Family of beers were also expanded. Perhaps their biggest contribution was that they brought in senior management staff at the Brewery who are the best in their business and continue to provide leadership at the Brewery led by Gary Olson, the President. Gary Olson had worked in senior management positions at Pepsi and Minnesota Brewery before coming to the Monroe Brewery. He has implemented many operational improvements at the Brewery and has deftly managed the massive capital expansion Ravinder and Manjit Minhas implemented after purchasing the Brewery in 2006. In 2003, the Brewery started to make Beers for Ravinder Minhas for export to Alberta, Canada on a contract basis. Ravinder Minhas also invested in additional can packaging equipment to expand the Mountain Crest line and other brands. This new arrangement increased the production of the Brewery by 5 times. By 2005, the beer exported to Alberta made up 85% of the Brewery’s total production. 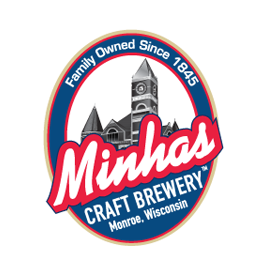 The Minhas Family purchased 100% interest in the Brewery on October 3, 2006 and changed the name of the Brewery to Minhas Craft Brewery. Copyright © 2019 Minhas Craft Brewery. All rights reserved. The text of this page is released under the Creative Commons Zero Waiver 1.0 (CC0).